Review Summary: Kyuss' groundbreaking album is worthy of the praise it receives. A classic for those who listen. Blues for the Red Sun. Released in 1992, this great, great album (named in homage to an episode of Carl Sagan’s Cosmos), changed everything for the humble little band named Kyuss. This album introduced a new sound to the world: not only the refined sound of Kyuss themselves, but the sound of pure, unmitigated stoner rock. Though bands like Black Sabbath and Blue Cheer had monopolized on a heavier, slower, blues-tinged sound, nobody had done it like Kyuss would on Blues… (and, for that matter, Sky Valley), and I believe nobody will ever do it quite like Kyuss did again. As is clear from Kyuss’ first release, Kyuss is a band that loves to riff. And on Blues…, boy do they riff. Guitarist Josh Homme pumps out riff after riff on excellent tracks like ‘Thumb’ and ‘Molten Universe.’ The songs, quite obviously, have total surface-badassery. Who doesn’t like an awesome C-tuned guitar riff played through a bass amp" Blues… introduces a lot of little quirks in Kyuss’ music that made their songwriting that much more unique and memorable. As is noticeable in the opener track, ‘Thumb,’ and extremely present in ‘Thong Song,’ Kyuss posses a very nice heavy-to-light formula. The contrasting verses/choruses provide a synergetic dynamic that makes the music much more interesting to listen to. Also, Kyuss (and more specifically Josh Homme) start a sort of tradition: a song section that gradually speeds up. For Blues…, this is the outro riff in ‘Thumb.’ To this date, I have never heard another band outside of Homme’s circle of bands to have something like this in their music. This accelerating song structure would later appear in a plethora of Josh Homme-related tracks, such as ‘Asteroid,’ ‘You Can’t Quit Me Baby,’ ‘I Think I Lost My Headache,’ ‘Someone’s in the Wolf,’ ‘Warsaw,’ and more. This unique accelerating twist, coupled with Kyuss’ penchant for tempo changes in general, creates a very memorable style of writing that Kyuss begins to capture on Blues…. But beyond surface-badassery like awesome riffs and tempo changes, this mythic album established a prominent feature that Kyuss lacked during most of their first album: atmosphere. Blues… is much more psychedelic than the first release from Kyuss. Songs like ‘Apothecary’s Weight’ and ‘Freedom Run’ clearly show this, with their heavily layered guitars and sporadic sound effects. But beyond ‘X’ song of the album, the music has an entirely different feel to it as a whole. The album in its entirety is extremely cohesive. The opener, ‘Thumb,’ starts off with a slow groove, builds, and seamlessly transitions into ‘Green Machine,’ one of the band’s better known songs. From there, the music leads the listener through a trip of perfectly arranged music all the way until ‘Yeah’ releases the listener from the album’s awesome spell. Blues… is also littered with instrumental tracks. Some of these, such as ‘Capsized,’ serve merely as short interludes, but others, such as ‘Apothecary’s Weight’ and ‘Molten Universe,’ stand out as complete songs despite their lack of vocals. Beyond just existing on the album for the sake of music, all of these instrumental tracks serve a greater purpose: they contribute to the cohesive flow of album. And they are more than effective at it. Listening to Blues… is like climbing a mountain. ‘Thumb’ starts the journey. Instrumental tracks gradually guide and set the mood for the album’s 8-minute epic peak, ‘Freedom Run.’ From there, more songs guide the listener down the other side of the hill, and the journey finally flattens out with ‘Mondo Generator.’ This flow, this trip, this atmosphere, gives the album a fantastic mood all its own. The music is more than badass guitar riffs and pounding drums; it has a feel and life unique to itself. And that is what makes the album spectacular. Blues… isn’t just something to listen to; it’s something to experience. Fanboying aside, this album really does lack any significant flaw. The songs are all well written, well arranged, and the track order as a whole is well arranged. Chris Goss, the album’s producer, couldn’t be a better match for the band. The guitars, drums and vocals all sound great. My main complaint with the album is the treble-heavy, mostly-inaudible bass throughout. The rest of the music more than compensates, but Nick Oliveri deserves to be heard more clearly than he is. The other main flaw I see in the album is the track ‘Mondo Generator.’ This track is over 6 minutes long. This is not a bad thing at all; I love long songs, and if it’s a long Kyuss song, even better. However, the vocals on ‘Mondo Generator’ are distorted. And when I say distorted, I mean extremely distorted. The first time I heard the track I thought the vocals were just sound effects. It took me until the full verse kicked in to realize that these sounds were actually lyrics. The words are completely incomprehensible. Normally, this issue would be manageable, but the song goes on for 6 minutes, and gets a little boring without any comprehensible vocals whatsoever. Moreover, this song ends the album. It does good work giving the listener one last psychedelic run, but its innate lukewarmity (yeah, that word just happened) makes the song a poor choice to end the album on. Those things being said, Blues for the Red Sun is an incredible album full of great music, feel, and groove. Though not quite as good as Sky Valley in my opinion, it is still a favorite album of mine, and was groundbreaking at the time of its release. The incredibly high-quality music featured on Blues… beats all the garbage on the airwaves today. Though it received little mainstream recognition, Blues… is a mind-blowing piece that set the standard for stoner rock in the 90’s. Many would try to mimic its sound, but none of them could quite pull it off. Nobody does it like Kyuss did. -Though I do have my snags with the bass and the lukewarm quality of the album’s finisher, ‘Mondo Generator,’ the overall mood and significant influence of the album raises my score from 4.5 to 5. This album really is a classic for those who know of it. I kind of feel like this review drags a bit, but I had a lot to say. I'm still gettin' the hang of writing reviews. album slays, although I have decided Sky Valley is a tad bit better. But Green Machine is my fave Kyuss song. Good job, you could probably make it a bit more concise but that will come with time. I prefer this slightly. I can't see how this is a 5 tbh. For me, it's a combination of the album's sound and its influence. 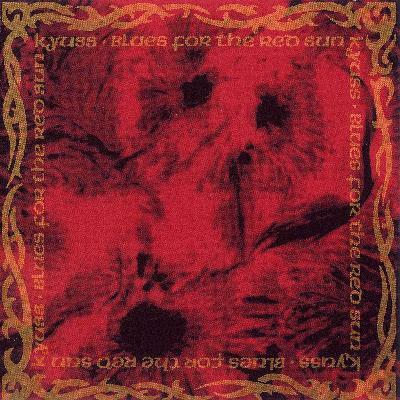 I love riff-heavy music and I love moody psychedelic music, and Kyuss is like the beautiful child of the two. So naturally, I love it. Blues also influenced a lot of other bands and set a new standard for stoner rock, so I gave it a 5. It's not classic in the sense of totally flawless, but it's classic in the sense of enduring greatness. One of the most influential albums ever made. Have a pos. I've played riffs only to later realize that it was from a song or at least similar. Yes. I'm just saying that I understand how bands use similar riffs because of that. As is evident on the first listen, Blues… features many instrumental tracks. and the aside about Pink Floyd. I prefer this album over Sky Valley by a thin marge. Both are essentials for sure. This album is so gd overrated. Not a 5 imo but still a really enjoyable album. I never thought this was 4.5 or even 5 material either. I like Sky Valley better.